To get professional 3D rendering design for interior and exterior & graphic design art services in Augusta, Portland, Lewiston, Bangor, South Portland, Auburn, ME or their surrounding areas, turn to Capital Exhibits. Our team of professionals is here to help clients in Maine, ME to increase their brand awareness by offering the best graphic art design services—all within your budget. Ask about our large format printing on Vinyl, static cling, mesh, fabric for indoor and outdoor use. We have the most affordable 3D design services and graphic designers in the region, and our expertise will lead you to the right design and the right products, whatever your business goals are. 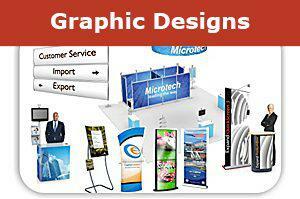 Our creative design services consist of trade show display designs, business cards, flyers, banners, brochures. Regardless of the industry your company is in, Capital Exhibits will have the right mix of products to improve your business. From our 3D rendering design, graphic design business card services, brochure design work, trade show displays or even tee shirt ideas, you’ll no doubt find what you need to increase your market visibility. These items can be used in day-to-day operations to build your brand image and educate potential customers about your company. 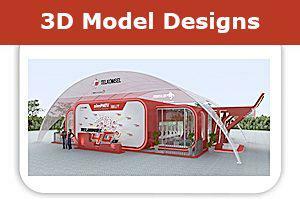 Try our trade show booth concepts and see the difference it makes at the next exhibition or trade fair you participate in. Try a tabletop display, tension fabric display, kiosk or banner to catch the eye of your next customer. Have brochures and business cards ready to handout, all with a professionally designed logo from one of Capital Exhibit’s expert graphic designers. You can choose from individual products or a package deal, and you can even rent certain items. We understand that all investments, big and small, are important. That is why we are dedicated to offering you the best value when you choose us as your graphic design provider. We can work with your budget and help create a personalized graphic design plan that will have an ROI you can be proud of. For logo design prices, print design pricing, t shirt graphic design prices, and graphic design quotes & rates, just visit https://www.capitalexhibits.com/request2.html. Our motto is “We build your best image.” When you choose Capital Exhibits, you will experience personal care, unbeatable prices and prompt service. Our customers have said things like “fast, reliable service,” “a responsible price tag” and “excellent customer service” after doing business with us. Select Capital Exhibits and let us offer you the best service and products too. Give us a call at (703) 479-7934 with any questions or to order your products. If you’re on the go or don’t have time to talk, you can always send an email to [email protected]. We look forward to building your best image!